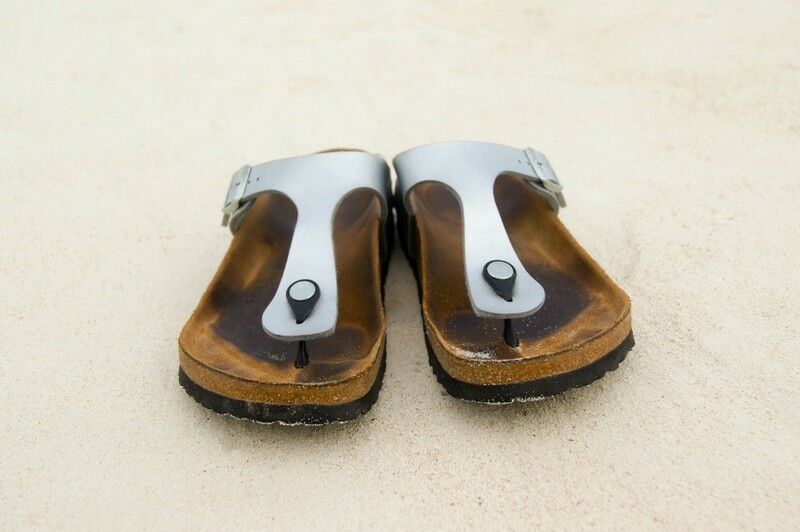 Many consumers have found noticeable relief from heel spurs by wearing Birkenstock sandals. This is a guide about wearing Birkenstock sandals for heel spurs. Has anyone ever worn Birkenstock sandals for heel spur and foot pain relief? Do you like them? I wore them for plantar faciitis (heel spurs) with great success. I also love Crocs (or the fakes). You also need to stretch your plantar facia; an easy way to do this is to stand on step (hold on) and move back so that your heels are off the step, and only the ball of your foot and your toes are still on the step. Gently allow yourself to relax back, so that your heels lower as far as you can. Count out ten to fifteen seconds and then rise up onto your toes. (Rising to your toes helps strengthen the calf muscles, which gives your feet and ankles more support.) Repeat several times. Do this several times a day--each time you go up or down stairs as a matter of habit. Those ladies who wear high heels should also do these stretches, even if they don't have foot problems at the moment. I love them for my heel spurs. I spent a lot of money getting orthodics made and found my back just hurt when I wore them. The Birkenstocks are wonderful! I even wear them in my house as slippers, lol. I wear them as often as possible. I found them online, at DSW shoe store and even some of the discontinued styles on ebay. Just make sure you find your size first and read the ebay info as some people sell 'used' ones, ick. I highly recommend them for heel spurs. Now even when I wear regular shoes - they don't bother me. FYI - BirkenstockUSA website also sells inserts for your sneakers. But I recommend trying them on in a store before ordering online. Sizing is a little different for me anyway. You might also try shoes made by "ECHO." Their cost is about the same as Birkenstocks, and there are several styles of sandles and other shoes..
and started to wear them everywhere and my pain has subsided considerably. I sleep with the 'boot' and wear the inserts in my tennis shoes, but wear my Birks most of the time.